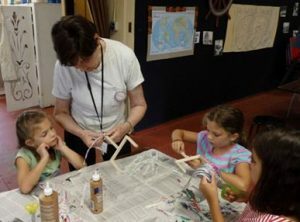 When schools close for February and April 2017 breaks, the Suffolk County Vanderbilt Museum’s Education Department offers fun, creative workshops for pre-kindergarten children and those in grades K-4. Advance registration is required for all workshops. Please call (631) 854-5539 for more information and to register. All workshops are held from 10:00 a.m. to 12:00 p.m. Fee: $18 for members, $20 for non-members. Cancellation policy: The Museum reserves the right to cancel any workshop that does not meet minimum enrollment requirements. Refunds will be issued up to seven days before the start of a workshop, for a cancellation made by the registrant. Explore William K. Vanderbilt’s collection of sea shells and learn about the fascinating animals that live inside. Mr. Vanderbilt’s mansion is filled with interesting portraits, including one of George Washington. After our house tour we’ll paint our own self-portraits. Explore the wildlife dioramas and learn how animals survive the cold. After our tour we’ll create a mini-diorama snow globe. We’ll explore the museum to find animals that live in cold climates and make a polar bear print snow globe. We’ll visit the marine collection and compare the anatomy of fish and marine mammals and create a mixed-media underwater seascape. Visit the wildlife dioramas, compare carnivores and herbivores and make a big cat mask. Visit the insect collection, learn about the characteristics of butterflies and moths, and make a mobile. Through April 10, 2017: Tuesday, Saturday and Sunday, 12:00 – 4:00. Last mansion tour begins at 4:00. (The Museum and Mansion are closed Monday, Wednesday, Thursday and Friday.) Planetarium open Friday and Saturday nights. 10:00 – Led Zeppelin – New Laser Show! 8:00 – Night Sky, Live! 3:00 – Night Sky, Live! Year-round viewing of the night sky (weather permitting), Friday only, 9:00-10:00. Observation is free. Guided tours of the Vanderbilt Mansion — listed on the National Register of Historic Places — are available Tuesday, Saturday and Sunday at 1:00, 2:00, 3:00 and 4:00. During the day, visitors to the Planetarium pay general museum admission ($7 for adults, $6 for students with IDs and seniors 62 and older, and $3 for children 12 and under), plus $5 each for a Planetarium show. Since the museum is closed in the evening, no general museum admission is charged — visitors pay only for Planetarium show tickets: $9 for adults, $8 for students with IDs and seniors 62 and older, and $7 for children 12 and under. Night-sky viewing on Friday (weather permitting), 9:00-10:00 p.m. Observation is free. The Vanderbilt Museum is located at 180 Little Neck Road, Centerport, NY. Directions and updated details on programs and events are available at www.vanderbiltmuseum.org. For information, call 631-854-5579. Available upon request. 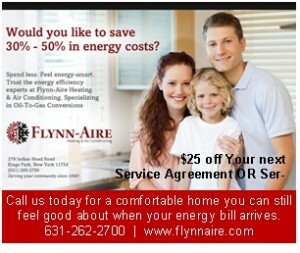 Call Patrick Keeffe at 631-854-5562. 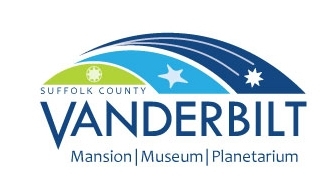 The Suffolk County Vanderbilt Museum — a unique combination of mansion, marine and natural history museum, planetarium and park — is dedicated to the education and enjoyment of the people of Long Island and beyond. This mission is achieved through the thoughtful preservation, interpretation and enhancement of the Eagle’s Nest estate as an informal educational facility. Many exhibition and program themes focus upon Long Island’s Gold Coast Era. Programs also concentrate on William K. Vanderbilt II’s desire that his marine, natural history and ethnographic collections promote appreciation and understanding of the marvelous diversity of life, other cultures, and scientific knowledge. Planetarium programming, more specifically, focuses on scientific knowledge and seeks to capture Mr. Vanderbilt’s sense of adventure and exploration through state-of-the-art entertainment.